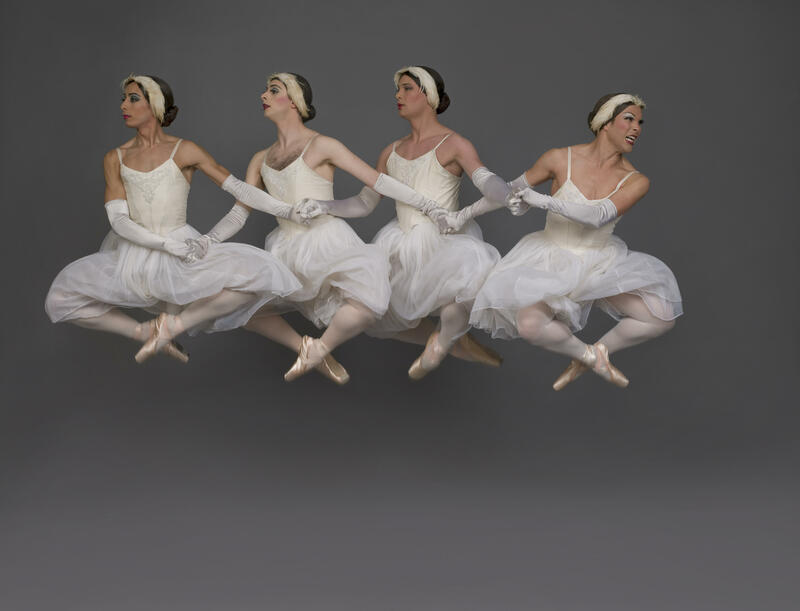 Les Ballets Trockadero de Monte Carlo presents a playful, entertaining view of traditional, classical ballet in parody form and en travesti. Blending dance knowledge, a comic approach, and the astounding fact that men can, indeed, dance en pointe without falling flat on their faces, the TROCKS have established themselves as a major dance phenomenon throughout the world. The company’s male dancers perform a repertoire ranging from the classics of Balanchine and Petipa to the modern works of Isadora Duncan and Martha Graham. The fact that men dance all the parts—heavy bodies delicately balancing on toes as swans, sylphs, water sprites, romantic princesses, and angst-ridden Victorian ladies—delights and amuses dance fans and novices alike.